FarSight has been working on custom software with Arcooda, makers of video pinball cabinets. This is the cabinet mode many have been clamoring for, but it's no mere camera angle port. Unfortunately the announcement of the loss of the WMS license has put a huge kink in Arcooda's plans, mainly that the entirety of the TPA catalog wasn't finished in time as well as the fact there's the very shortened window this will be available until. Visit https://www.arcoodapinballarcade.com/ for complete details and purchasing. 76 tables have been given the cabinet mode treatment, that includes backglass and DMD functionality. New lighting and graphical tweaks also are featured, as well as taking advantage of the ability to have solenoids and shakers function in a cabinet. The good news is that Arcooda is no longer making this exclusive to their cabinet. You can buy the standalone, offline version of the software for play on any cabinet. If you buy the Arcooda Cabinet version, you also get touch screen functionality, digital tilt, and perhaps the coolest feature of all, 3D without glasses when used with a Kinect camera for head tracking. The bad news is this is only available until June 30th, and it doesn't come cheap. If you already own the Steam version of the game, you'll only be paying for the Arcooda key. I believe this will be $149. You can also purchase the offline Pro Mode version that includes the entirety of TPA plus the Arcooda key for $499, for those that haven't purchased any of the game yet. Advantage here is it doesn't require a FarSight login. I'm not 100% on these prices as I can't verify what I heard, check with Arcooda first. So, is anyone able to confirm that Williams/Bally tables purchased on Steam will be accessible if we buy Arcooda as an aftermarket upgrade? Is the Arcooda version of the app going to be supported going forward? Is the cabinet version better in this version visually then using Cabinet mode in FreeCamMod. Does it support direct table launch from PinballX? oh, how unfortunate that they are gonna loose half of their tables for their exclusive cabinet version that farsight should have finished developing as part of TPA in the first place. Yes. You just need to purchase the Arcooda key available on their website https://www.arcoodapinballarcade.com/ but you only have until June 30th. Absolutely it is better than FreeCamMod. If you watch the video, you'll see the 4 camera angles. 3 of them you can tell have greater detail and the look changes as if it is set deeper into the cabinet. The last look is essentially the top down 'flat' look you'd see on an iPad. There are unique to Arcooda version lighting changes as well. Backglass and DMD are included. If you plan on purchasing an Arcooda cabinet, then you get touchscreen support, solenoid, shaker motor, and digital tilt as well as the head tracking via Kinect that simulates 3D (and looks amazing in the video). Let's just say Arcooda was led to believe that FarSight was much farther in the process than they really were. Agreement was made over a year ago. Meanwhile Pinball FX3 worked in their cabinet with little to no adjustment at all. I don't believe FX3 can do the head tracking though, but I wouldn't put it past Arcooda to try and work with Zen to make that a thing. I'm having a hard time seeing how this isn't just a sanctioned version of TPA with the freecameramod and a dx11 version of the BAM mod. With touchscreen. Unless it's got an active backglass which i would totally pay extra $$ for. 8 of those are Stern/Gottlieb so only the most recent Bally/WMS tables missing plus KS only TAF gold. edit - i just saw the response above about Cameramod differences. Active backglass is the one that i'm waiting for. Also seeing how they implement things like 2 screen vs 3 screen. To the best of my knowledge, it’s an active backgkass as far as lighting goes. I can’t speak to the scoring on pre dmd but assume it’s there since FarSight had made those work in the table fly overs. I do know that Arcooda had FS specifically redo the backglass so they weren’t blown out (over exposed) and program in the lighting sequences. BoP was the one they brought up first as an example of it working like the real thing. All Seven Seasons Steam Pro? You'll have to contact and ask Arcooda that. I know what they are selling in the large bundle is Pro versions. That being said, they're not opening the coin door and accessing anything special that would be in Pro mode, so I would think regular version would be fine. Well, I shall certainly have a look at this. 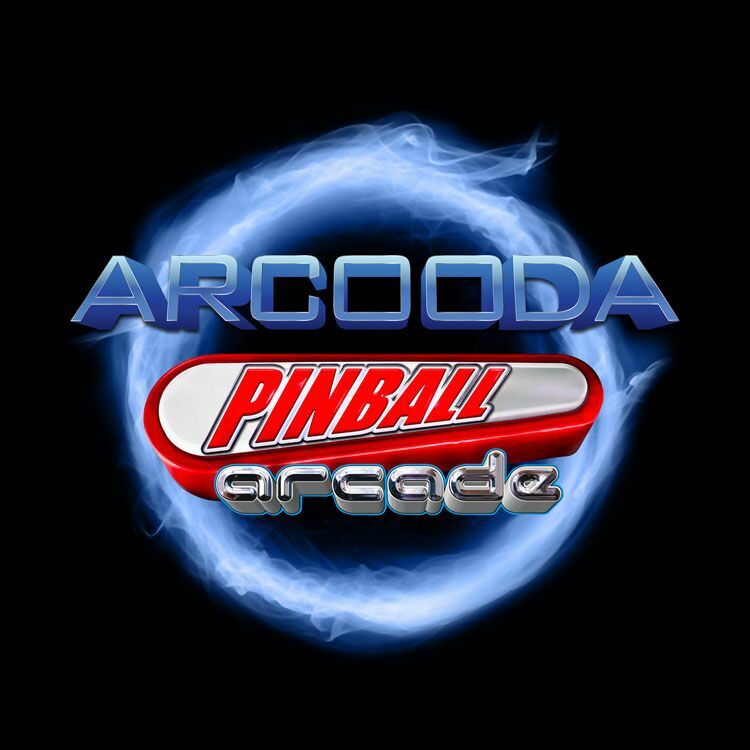 I wonder what the Arcooda pinball cabinet will cost, 1000$... 2000$....3000$.... (Aha! 9000$, well if I ever stop buying synthesisers I might get that money assembled.... but stop buying synthesisers, no that does not seem possible) just no guessing and there have not been a statement yet on there site. I have 2 or 3 seasons as DLC on steam but the rest as 'ingame', I'm not sure if Arcooda will get my FS login stuff. As someone mentioned in a post it would be nice if FS offered DLC keys for our 'ingame' bought stuff for some future proofing. Thanks, do you know if this will allow support for a real dmd? I assume since tpa works through dmdext that the arcooda version also would be able to as well. Is there any info regarding Direct table launching as well? I have already invested a lot in pinball arcade since building my cabinet. I have purchased all the seasons so spending another 150 bucks more I want to make sure that the updated tables are worth it and I don't lose functionality like real dmd, and launching tables directly. Does anybody know if purchasing the key will allow the running of tables aready purchased through Steam? That’s exactly what it does. So $149 for the key to run existing tables. $499 if you don’t own any, want them in offline mode. I realize this a quickly shove all the eggs into the basket and sort it out later thing for them. Looks like you can't buy until May 16th and released by the end of the month. The released at the end of the month is bothersome. I really do hope they get it out before June 30th. I really don't like the thought of gambling that it's not vaporware, we've only seen a few second spot video. And then there's the issues and bugs of everything being crammed together at the last second. After 6/30, there will be no monetary reason to return and fix anything! This is literally a take the money and walk away because you have choice scenario if I've ever seen one. Just FYI, Arcooda's software is 3-monitor only and they have no other plans. It's not vaporware. Arcooda has been giving notes to FarSight for over a year now about the product. They demanded the touchscreen, demanded the menu get reorganized to be usable in cabinet form, dictated the control scheme for non touchscreen interaction. I've seen other video they have not publicly posted and it looks and works as advertised. As for bug fixes, that's going to be on FarSight to do, not Arcooda. That being said, Arcooda has really not let FarSight just take the easy way with things and has been testing it internally and then giving FarSight notes. Like I said in various threads, I'm hoping to drive up to FarSight in a week or two and get my hands on their Arcooda prototype cabinet. Initially Arcooda had wanted me to wait until their new cabinet was delivered, but now I'm taking it on myself to see what's what with what exists. So if you want to wait until near end of May, I might be able to offer some first hand experience. If you don't wait, please report back to the thread about the purchasing and if you get the software running, your impressions. I do have a direct line to Arcooda, if you have specific questions you'd like me to ask for you, I can fire off an email. Just be very specific.